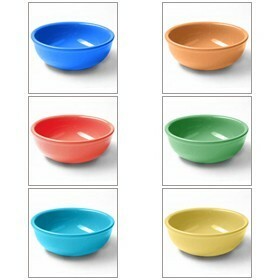 Available in a variety of colors, the Crestware BP36 Bay Pointe Nappie Bowl 30 oz. is an excellent piece for every occasion. Featuring a beautiful ceramic construction and a narrow rim body, this nappie bowl is perfect for serving fruits, salads and a variety of other delicious dishes. This nappie bowl is fingerprint and glare resistant with an attractive sheen that will last for years. A great addition to restaurants, catering companies and other food service facilities, this nappie bowl is dishwasher safe for fast and efficient cleanup.